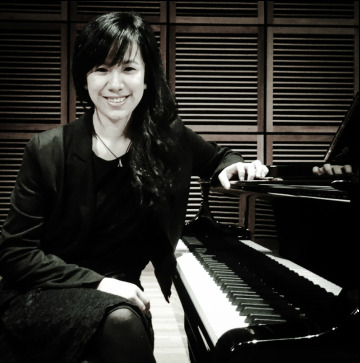 Originally from Yogyakarta, Indonesia, pianist Amanda Suwondo started learning keyboard at the age of five. She started learning classical music during high school, doing grades, and playing at church. She then took her career as a musician to the next level in 2010 when she moved to Sydney, Australia, studying diploma of contemporary music at C3 College, NSW. During her study, she started to go seeing gigs and got inspired to play jazz by a pianist Judy Bailey, later became her teacher. She started to get more involved in learning jazz by joining SIMA’s Women in Jazz in 2011, taught by Jess Green (through which she was awarded a mentorship by Sirens Big Band). She also joined Conservatorium Open Academy, led by Dale Barlow couple months after that course. 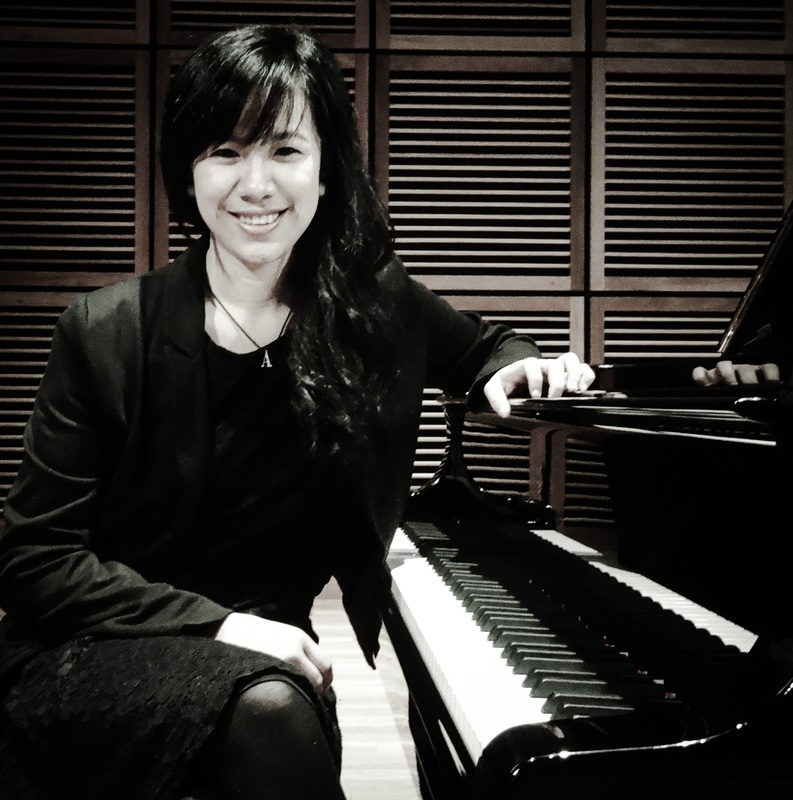 In 2012, she started her bachelor degree in Jazz Performance at Sydney Conservatorium of Music under some Australia’s well-known jazz players such as, Judy Bailey, Matt McMahon, Steve Brien, Mike Rivett, Simon Barker, David Theak, John Harkins, etc. She is now in her final year at the Con, studying under the phenomenal Kevin Hunt and Mike Nock. Besides, she has been doing a lot of classical music, studying under David Herskovits. Along her study, she also has been playing in a lot of different venues around Sydney and New South Wales, such as Dome Bar, Venue 505, The Vanguard, Metro Theatre, Foundry 616 playing her original music with her trio and/or quartet. Besides doing her own stuff, she has also been working with various different bands, such as Poinciana (jazz quartet), Audio Canvas (pop, fusion), Soul Central (funk), Serenade Quintet (wedding and corporate function), ​The Regent Street Big Band. She went back to Indonesia in 2012 to play with some local musicians there. She has worked with some Indonesian jazz musicians, such as 4UFeatJam (Indonesia’s Got Talent), Kirana Big Band, and some other bands. She also had a chance to run master classes at Institute Seni Indonesia (ISI), one of the Music Schools in Yogyakarta, Indonesia. In June 2014, she went on a tour to Merrimbula, playing at Merrimbula Jazz Festival with Sydney Youth Jazz Orchestra. She has also done some work with Mark Vincent (The Winner of Australia’s Got Talent 2009) playing with Mark Vincent’s String Quartet. She played for a musical theatre show (The Detective’s Handbook), performing in Sydney and Brisbane in Festival of Australian Student Theatre (FAST) at Laboite Theatre. She did a project called ‘Our Music’-a collaboration of Australian and Aboriginal Music, produced by Kevin Hunt. Our Music was also broadcasted on SBS in December 13. She went to Los Angeles to do lessons and workshops with pianist, Tamir Hendelman, and went to New York to get mentored by Christian Sands in the beginning of 2015. She was involved in a production by Leonard Bernstein, MASS, playing with Sydney Conservatorium of Music Orchestra at Sydney Opera House. She recently went to The Netherlands in June 2015 playing with some local musicians in places like BIRD (Rotterdam), Gekke Geit (The Hague), and Murphy’s Law (The Hague). She is going to Brisbane in December to play with Dirty Martinis band playing for a corporate function. In October 2016, Amanda went to Manila and Palawan, The Philippines to play music around the town with SCWC Band. She also came back from Jakarta, Indonesia in January 2017 to play with her quartet at Motion Blue, Jakarta. She was also involved to play for Susilo Bambang Yudhoyono (Indonesian ex-president) and Joko Widodo (Indonesian current president) on their visit to Sydney at UNSW and International Convention Centre, Darling Harbour, Sydney. Amanda has recently came back from Los Angeles to learn music from jazz musicians around the town and she also had an opportunity to play and work with the local musicians. She has been getting inspired to play a lot of afro-cuban and latin music and trying to understand the concept of the style. She went to Melbourne and having a chance to learn with an accomplished pianist in the latin and afro-cuban style, Sam Keevers. She is currently working on a project as a music director to be played at Sydney Fringe Festival in October. Besides her career as a performer, Amanda has done some studio sessions in various recording studios around Sydney and Indonesia. She did some projects with her quartet and trio recording her original music. She also did some projects with Poinciana playing arrangement of jazz standards and originals at Studio 301, Alexandria, and JMC recording studio. She did music video recording with Audio Canvas at SAE recording studio. She has been also doing some music scoring for short movies and musical theatre shows. She recently had the opportunity to record her project at New York University Studio.